Modern constructions of religious liberty often left atheists and nonbelievers out. Long after the ratification of the First Amendment, it remained an open question whether religious freedom included irreligious freedom. Counted an intolerable danger to the commonwealth, atheists were frequently denied equal rights and liberties; several states barred them from holding offices of public trust, and their competence as witnesses was routinely questioned. The picture changed dramatically in the middle decades of the twentieth century as the principle of neutralitythat the state was to treat believers and nonbelievers with impartialitybecame the constitutional norm. Yet, in scoring a series of wins at the Supreme Court level, atheist plaintiffs only looked all the more intolerable. Dwelling on the experiences of a handful of atheist objectors in this heyday of secularist activism, the lecture examines just how limited the toleration of the irreligious remained in the 1960s and 1970sand often still remains. Leigh Eric Schmidt is the author of Village Atheists: How Americans Unbelievers Made Their Way in a Godly Nation (Princeton, 2016), as well as Consumer Rites: The Buying and Selling of American Holidays (Princeton, 1995), and Hearing Things: Religion, Illusion, and the American Enlightenment (Harvard, 2000). Schmidt has appeared on a number of NPR programs and other radio shows to discuss his books, including All Things Considered, Voice of America, and Religion Matters. He has commented on current issues in American religion and culture for outlets like The Atlantic, The New York Times, The Wall Street Journal, Christian Science Monitor, and the San Francisco Bay Guardian. 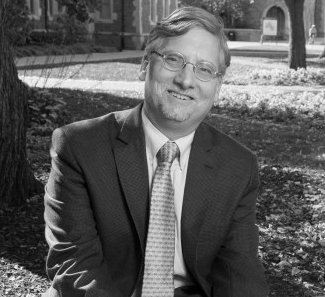 Presently the Edward C. Mallinckrodt Distinguished University Professor in the Humanities at Washington University in St. Louis, he joined Washingtons John C. Danforth Center on Religion and Politics in 2011. The annual Berkeley Lecture on Religious Tolerance provides a campus and community forum for a preeminent scholar to address a topic related to religious tolerance, broadly considered. Established in 2014, the Tolerance lectures are generously sponsored by the Endowed Fund for the Study of Religious Tolerance.